Want Financial Security? 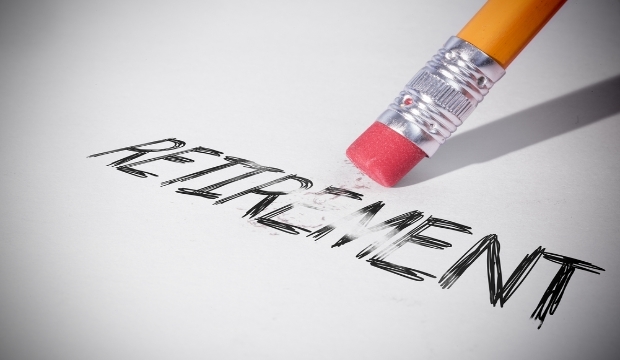 Defer Your Retirement! 80% of Americans need a wake-up call. Retirement in your early or mid 60’s and maintaining your current standard of living for the rest of your life is not going to happen. In fact, the rest of your life is part of the problem. You or your spouse has a 75% probability of living into your 90’s. This means your assets have to produce income for 30 years. And, you better not invade principal until you know you cannot run out of money in your lifetime. “Golden Years” may apply to your parents, but it may not apply to you. They saved more money and they worked for companies that sponsored pension plans that paid guaranteed benefits for life. If you are typical, you have one of the lowest savings rates in the world. And, you worked for a company that did not guarantee pension benefits. The company sponsored a 401k plan that made you responsible for your own performance. Why is longevity a problem? It increases your odds of running out of income or assets during your lifetime. Rising longevity and rapidly improving health sciences exacerbate the retirement dilemma. The average American is going to live a lot longer than his parents or grandparents. And, a lot of people who are currently in the 20’s may live to be a hundred or more. The longer you may live the more assets you need to produce income and provide financial security late in life when you need it the most. Why are low savings rates a problem? Notwithstanding an unstable Social Security system, personal savings and IRA assets may be your two primary sources of retirement income. The assets in both accounts are impacted by the performance of the stock market, interest rates, inflation, and other economic phenomena you have no control over. The more assets you have the less dependent you are on performance and the less you are impacted by these economic events. According to Fidelity Investments the average American has saved $80,000 for retirement. This is a disaster waiting to happen. According to the NewSchool for Social Research the average savings for more highly compensated Americans is $240,000. Still a very low number in relation to their current incomes. These are paltry numbers when it takes $1,000,000 to produce $40,000 of annual income at a 4% annual payout rate. And, all it takes is one serious stock market crash, the average is one every ten years, and all of these numbers go out the window. Americans retire at age 65 and transfer 401k assets to self-directed IRAs. They have an immediate problem. They have not invested this sum of money before. And, the money is critical. It has to produce income, with little or no invasion of principal, for the next 30 years. The most frequent solution is to select a retirement planning expert to help you develop strategy and invest assets. Now you are dependent on an advisor’s expertise, ethics, and the securities markets for your income and financial security. This introduces a major new risk. You may not have researched and selected retirement planners and financial advisors in the past. That was the responsibility of trustees who were responsible for investing 401k plan assets. Select the right advisor and you live happily ever after. Select the wrong advisor and you may find yourself living with your children. Fortunately, there is www.PaladinRegistry.com a website that provides free tools to help you research advisors and make the right decisions. Who says you have to retire? What you really need is an alternative source of income and a desirable lifestyle. For example, you work 25 hours per week, you play golf three times per week, and you take long vacations. All you need is a position that allows you to work over the Internet or telephone and live where you want to. No commuting, no fixed hours, and an income that enables you to reinvest more of your investment earnings. The longer you defer distributions the more money you will have later.